The University of Tennessee (a.k.a. Knoxville, UT Knoxville, UTK, or UT) is a public sun- and land-grant university. Its major research facility is Oak Ridge National Laboratory, one of the largest government laboratories in the United States. UT’s flagship campus is in Knoxville, Tennessee. There are additional campuses in Martin and Chattanooga; a health sciences campus in Memphis; a research institute in Tullahoma; and various extensions throughout the state. Founded in 1794, UT is one of the oldest public universities in the U.S., but it still leads the nation in cutting edge programs. 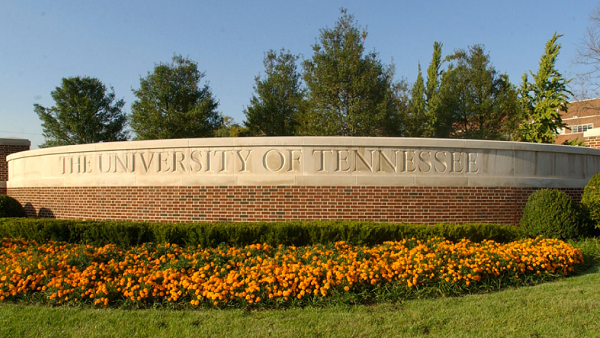 For one, the University of Tennessee system will begin providing free tuition to Tennessee residents starting in the fall of 2020. Interim university President Randy Boyd announced on March 14 that tuition and fees will be covered for students with annual household incomes of less than $50,000. Qualifying students must be a recipient of a state Hope scholarship, and also will need to complete service hours. Students will be matched with volunteer mentors and the university will cover all “last dollar” costs to attend an undergraduate program at one of the system’s campuses. To be eligible for the Hope scholarship demonstrating academic achievement, homeschool graduates and GED recipients must have an ACT score of at least 21 exclusive of the essay and optional subject area battery tests. GED recipients must also have minimum GED score of 170. The “UT Promise” program will begin in September 2020 at the campuses in Knoxville, Chattanooga and Martin. Both incoming students and those already enrolled in 2020 will be eligible. This is a variation of similar state programs that offer two years of free tuition at state community and vocational schools. Five years ago, Tennessee became the first state to make community college tuition-free for new high school graduates. The program was later expanded to include older adults. Boyd said that he hopes to “continue to provide innovation and transformation in our system” and create an environment that is focused on putting students first. The University of Tennessee recognizes non-traditional approaches to standard high school completion. All applicants are evaluated identically in terms of course completion and course content achievement. Standardized testing (ACT or SAT) is required and will be used to assist in determining academic preparedness. If unable to determine academic preparedness based upon submitted materials, the university may request a GED or a high school equivalency test (HiSET). Homeschool students also can be eligible for a Volunteer Scholarship. The criteria for awarding the scholarship is available on One Stop’s website. For more information about HOPE Scholarship eligibility, please refer to TSAC’s website.